21" Cissy Doll emulating a photo of Madame Alexander from a 1920's photo, wearing a beaded dress and fur shawl with a rhinestone broach. She was on display in a display case of her own, so please forgive the glare of my flash. They have spent 9 decades capturing the imagination and passion of doll lovers and collectors world wide, and at 90 they couldn't look better, we can all only hope to look that good at 90! 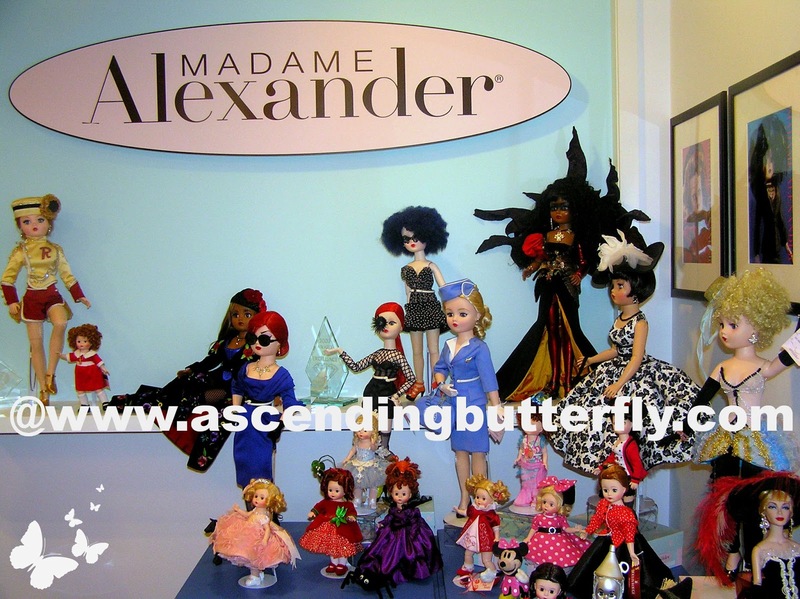 My introduction to the brand was when my Grand-Mother gave me my first Madame Alexander doll. My Grand-Mother was a nurse but one of her many passions was embroidery and sewing and she would make Bridal Dolls for Weddings, using Madame Alexander dolls and creating a replica of the bride's dress for the doll. Her handi-work was amazing, and after each one was done, I wanted them all! 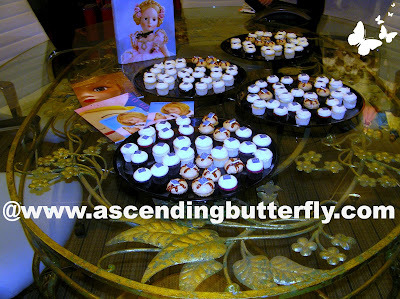 Everytime I get to visit or attend a Madame Alexander event, it's always a bit nostalgic and bitter-sweet for me, because I instantly think of my Grand-Mother and her late night's making Bridal Dress replicas for Madame Alexander dolls for brides (if anyone out there has one of my Grandmother's creations, I'd love to see a photo!). I only wish she would have been here to make one for me for my own wedding. The famous doll company is now owned by Kahn Lucas Lancaster, Inc, a global designer and wholesaler of branded girls' dresses and fashion collections, and during the 90th Anniversary event, we got the chance to learn more about Dollie & Me, a doll lifestyle brand made by Madame Alexander and designed by Kahn Lucas. In addition to selling dolls with matching outfits for girls, they strive to empower young girls through positive and imaginative play. The 18' dolls and trendy matching girl dresses, outfits and pajamas can also be purchased seperately (in case your little princess doesn't necessarily want her little friend to match her all the time!). 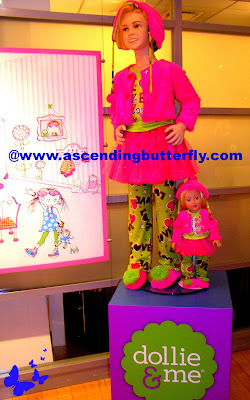 And for my fellow butterfly lovers there were tons of fab butterfly dollie & me outfits to choose from. 90th Anniversary Collection Dolls are limited edition and all come with a special 90th anniversary hang tag! 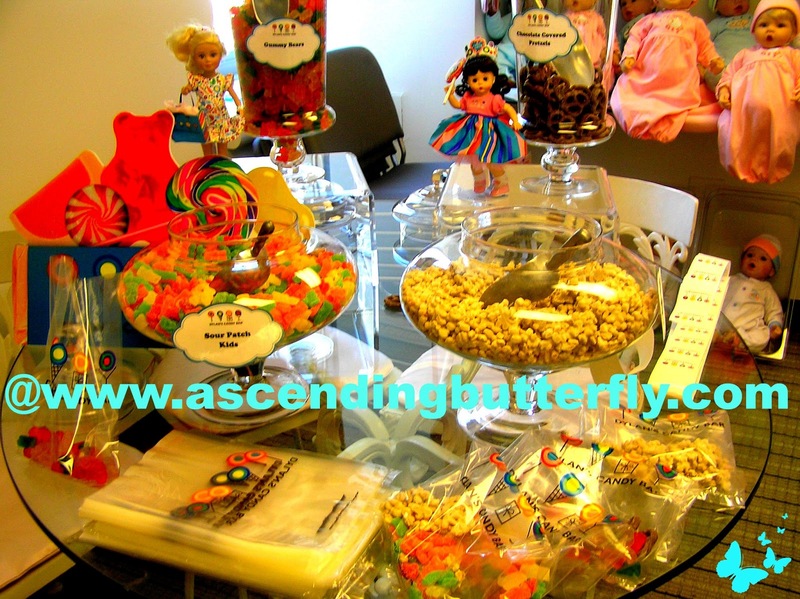 Dylan's Candy Bar Treat Station at Madame Alexander 90th Anniversary Celebration in New York City! Notice the Dylan's Candy Bar Queen 8-inch Wendy Doll in the background? She is currently on pre-order and expected to ship September 2013! 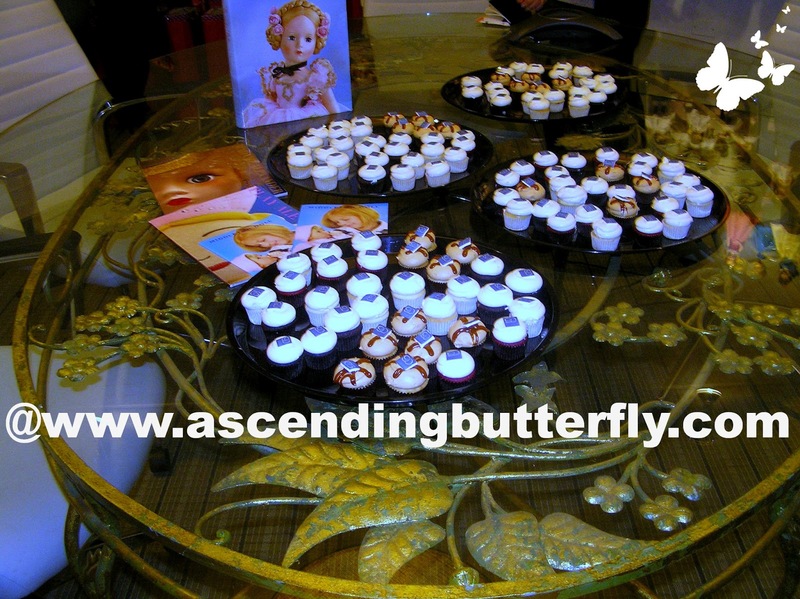 Want to join Ascending Butterfly in wishing Madame Alexander a very Happy 90th Anniversary/Birthday? 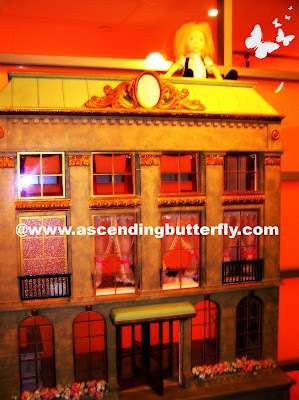 What is your favorite doll Butterfly? FTC Dislcosure: This is NOT a sponsored post, no compensation has been received to share our event recap coverage. We were given Dylan's Candy Treats, Cupcakes and a gift bag! Well happy anniversary Madame Alexander,I'm a big fan of your beautiful dolls, I have given many as gifts and I proudly own a few myself! May you celebrate many more years bringing joy to little girls and not so little girls! !